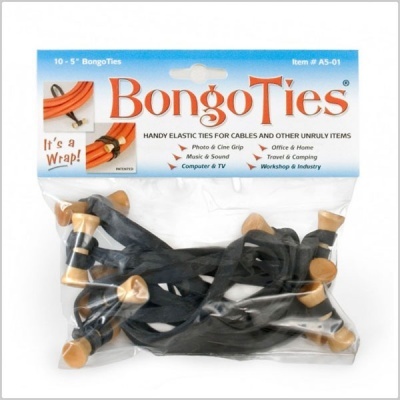 BongoTies are handy, easy to use all-purpose tie-wraps, with hundreds of uses around the home, office, and industry. Best used for cable management-- neaten those cables behind your computer and home entertainment system. Organize loose wires of power supplies, headphones, iPods, etc. BongoTies are easy to apply and easy to remove, and re-usable, so it's a snap to change cable configurations. Perfect accessory for travelers and people on the go, to keep personal electronics neat and organized. BongoTies have many other uses from installing banners to tying things to your bike or backpack. Sturdy and high-quality. 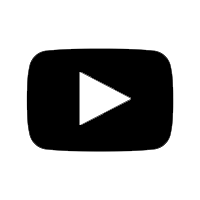 Used for years by photo, sound, and cinematography professionals. Secure button-type closure pin, designed by professional engineer/photographer (patented). Natural Hevea (tree) rubber really grips cables! Package dimensions: 1.5" x 5" x 5"; Weight: 0.1 lb. 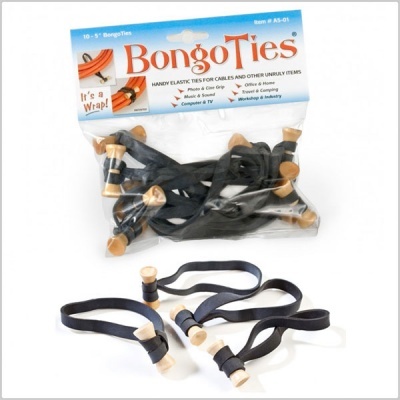 These Bongo Ties are really useful - such a simple idea - a 'rubber' band with a toggle at one end to tie up anything from mic cables to fixing bits of kit to a pole or piggybacking small units in the field. I never seem to order enough ! They are now trendy red so easier to see in your bag.